The effect caused by some atmospheric gases trapping heat close to a planet's surface. The effect caused by some atmospheric gases trapping heat close to a planet's surface. This makes the surface and lower atmosphere of the Earth warmer than they would be if direct heating from the Sun was the only warming mechanism; without it, the average surface temperature on Earth would only be around -19°C. 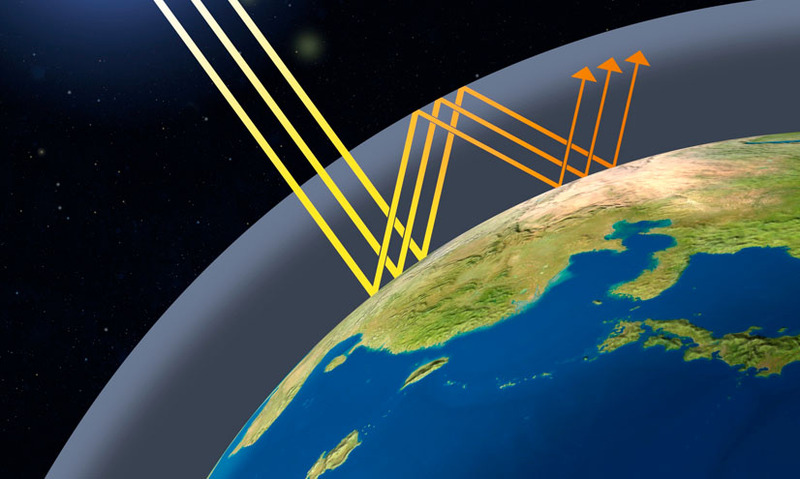 This makes the surface and lower atmosphere of the Earth warmer than they would be if direct heating from the Sun was the only warming mechanism; without it, the average surface temperature on Earth would only be around -19°C.